If you had to choose a single trend magazine to call 'The Fashion-Bible', it sure would be View Textile. Resposible publisher is the one and only Mr. David Shah. With his extensive experience within the fashion industry, through all fields, this compilation surely exhibits his knowledge, and makes the View Textile Magazine an excellent tool of reference throughout your entire collection: from colouring to finished garment. Divided per Lady and Gentlemen and with 3-4 trend seasons in a continuous update, a reconnection to earlier editions and the tendencies presented there, occurs and compliments the structure in a coherent manner. Conclusively; A perspicuous and precise material guide for both garment and knitwear. Published for the European yarn/garment shows. View Textile: Trend forecast for the respectively four upcoming seasons concerning colours, materials, design and styling for women's wear, men' s wear and young fashion, including street and retail, reports on merchandising, as well as analysis of consumer behaviour and its influence on fabric and fashion trends. View Textile has expandend with two purely street/denim/casual/sport editions per year - View2. View2: He has successfully, yet again, created a supreme design magazine for professionals! Designers, product developers, purchasers: the same way as View Textile, is View 2 a continuous analazys of four trend seasons at once. 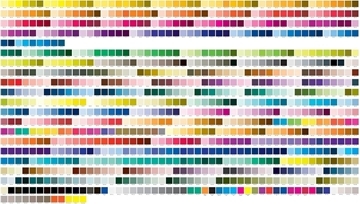 Including the Pantone-ref. for continued, easy designing. View2 is released twice a year and is part of the complete subscription of View Textile , which now is extended from four editions per year to six. It is highly recommended that you complete your updating inspirational library with an additional, seperate View2-subscription. No one will relinquish this thoroughly exciting professional magazine! Digital colour library for your Capsure device, includes all Pantone colours. 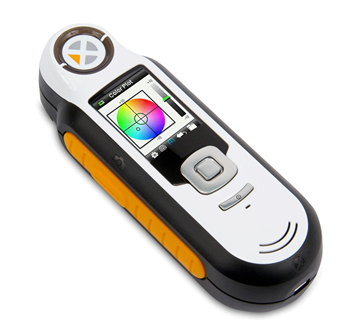 Digital colour library for your Capsure device, includes all RAL colours. Textile View is the fashion forecast publication for designers and product managers. Each issue (4 per year) gives you a short and long term colour, fabric and style forecast for womenswear and menswear. And the seasons are confirmed 18,12,6 months ahead. David Shah, editor in chief.